Love it! very chique and still comfi. The second picture looks very nice! Pashima with leopardprint are very in vogue. 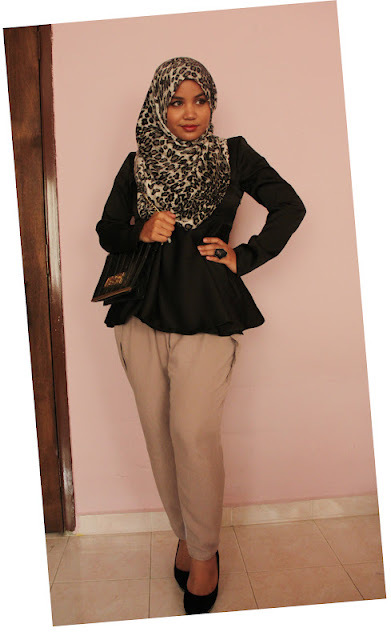 may i know which zawara satin black blouse is this?